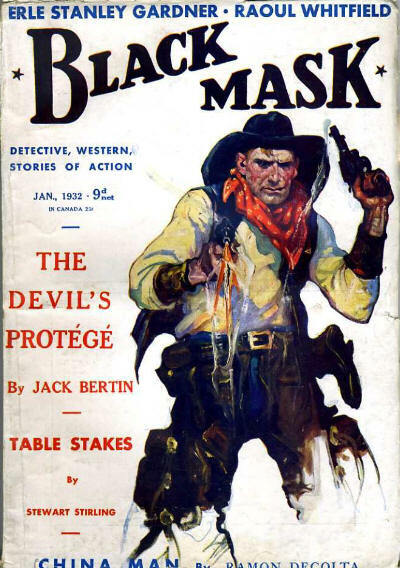 Reprint of the January 1931 (US) issue, plus a single story each from the October 1920, November 1920 and March 1921 (US) issues. Reprint of the February 1931 (US) issue, plus two stories from the April 1921 (US) issue and a single story from the May 1921 (US) issue. Details supplied by Rob Preston. Reprint of the March 1931 (US) issue, plus a single story each from the October 1920, November 1920 and December 1921 (US) issues. Reprint of the April 1931 (US) issue, plus a single story each from the April 1921 and May 1921 (US) issues. Reprint of the May 1931 (US) issue, plus two additional stories. Reprint of the June 1931 (US) issue, plus a single story from the April 1921 (US) issue and two stories from the February 1922 (US) issues. Reprint of the July 1931 (US) issue, plus a single story each from the October 1920, March 1, 1924 and April 15, 1924 (US) issues. 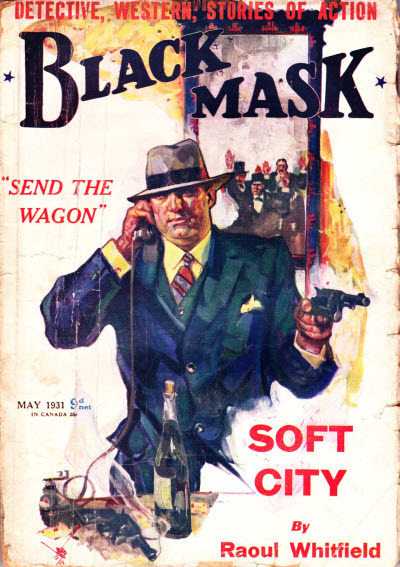 6 · Tommy Talk [Ed Jenkins; Lui Sing Fong] · Erle Stanley Gardner · nv Black Mask Jul 1931; given as Tommy Talks on the cover. Reprint of the August 1931 (US) issue, plus a single story each from the December 1921 and February 1, 1924 (US) issues. 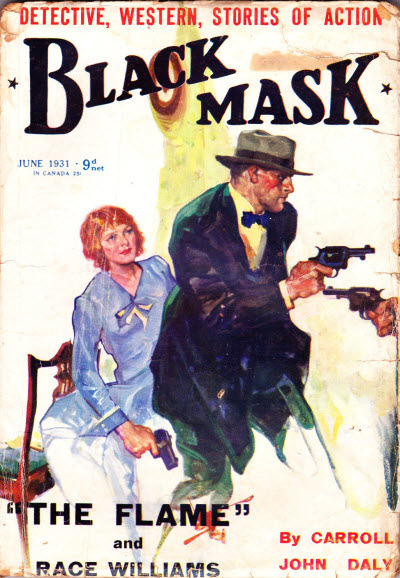 Reprint of the September 1931 (US) issue, plus a single story each from the February 1922 and September 1924 (US) issues, and an additional story. Reprint of the October 1931 (US) issues, plus a single story from the December 15, 1923 (US) issue and an additional story. 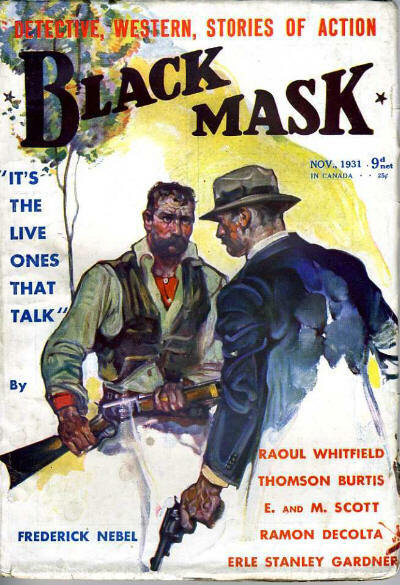 2 · Weapons · H. B. Davenport · nv The Black Mask Dec 15 1923; possibly abridged. Reprint of the November 1931 (US) issue, plus a single story each from the October 1921, May 1921 and February 15, 1923 (US) issues. Details supplied by John Benson. 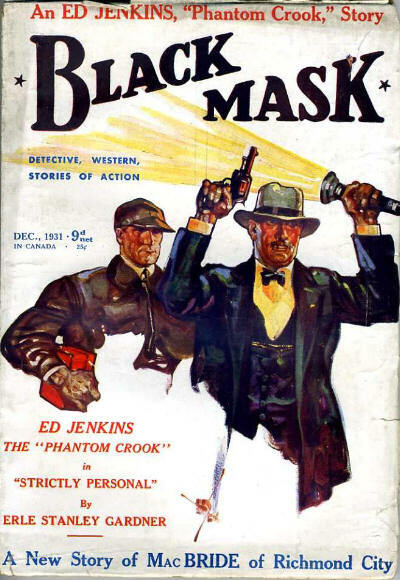 Reprint of the December 1931 (US) issue, plus two stories from the October 1922 issue. Details supplied by John Benson. 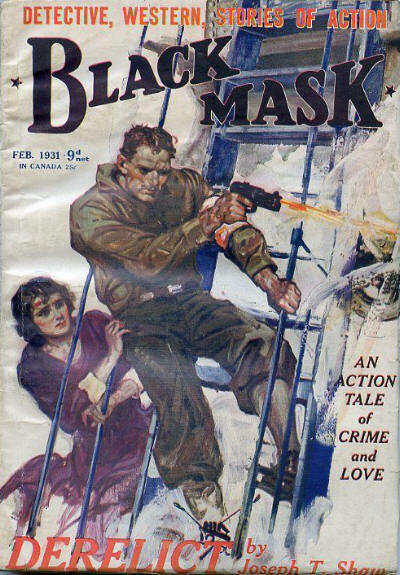 Reprint of the January 1932 (US) issue, plus a single story each from the October 1921 and October 1922 (US) issues. Details supplied by John Benson. Reprint of the February 1932 (US) issues, plus a single story from the April 1921 (US) issue and an additional story. Reprint of the March 1932 (US) issues, plus a single story each from the March 1922, November 1922, December 1922 and August 1, 1923 (US) issues.